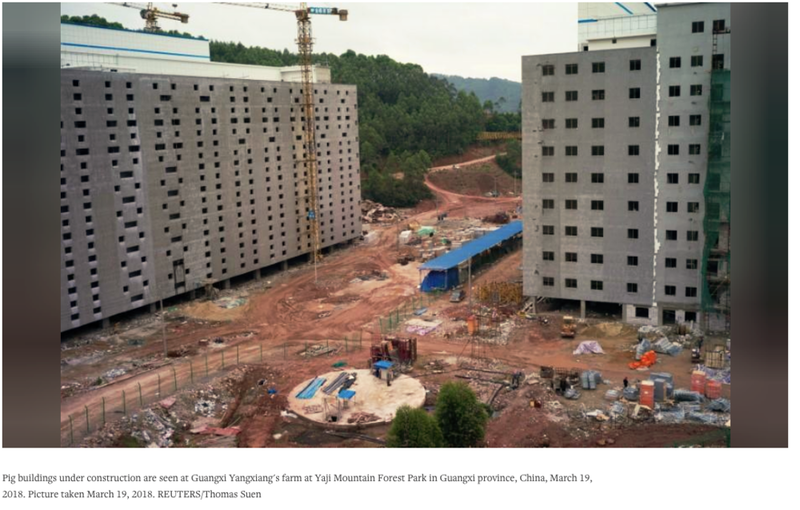 YAJI MOUNTAIN, China (Reuters) - On Yaji Mountain in southern China, they are checking in the sows a thousand head per floor in the high-rise “hog hotels”. 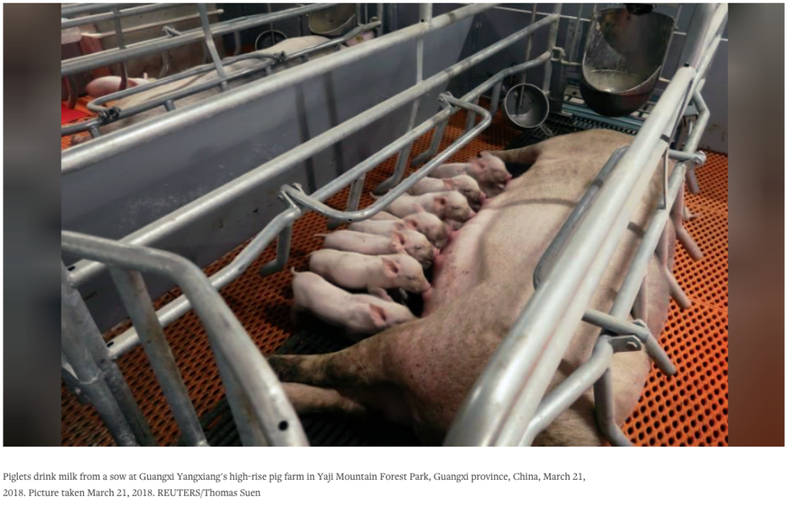 Privately owned agricultural company Guangxi Yangxiang Co Ltd is running two seven-floor sow breeding operations and is putting up four more, including one with as many as 13 floors that will be the world’s tallest building of its kind. 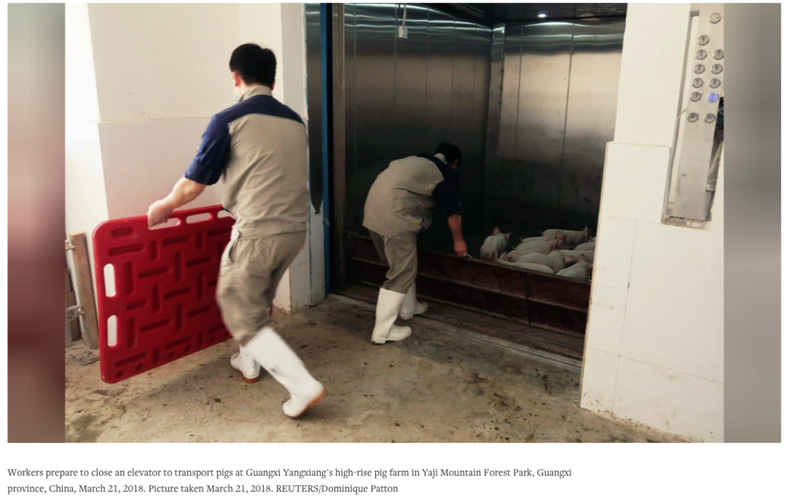 Farm manager Xu said Yangxiang reduces the risk of disease by managing each floor separately, with staff working on the same floor every day. New sows are introduced to a building on the top floor and are then moved by elevator to an assigned level, where they remain. 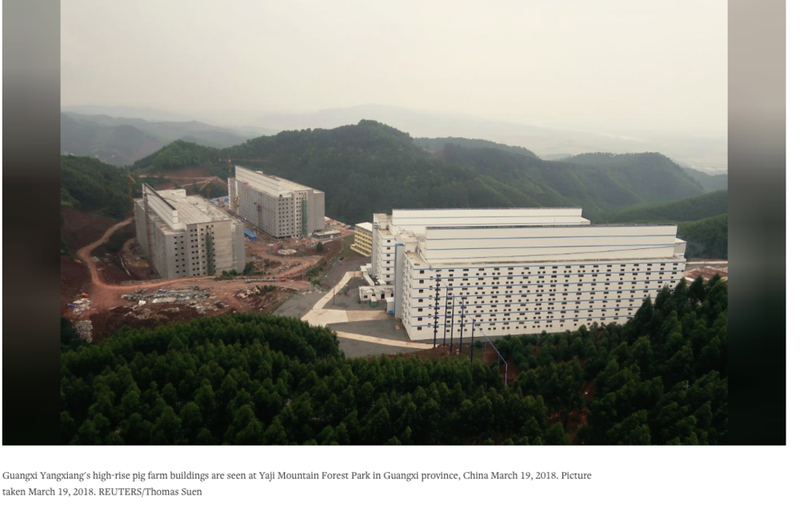 Apr 26 Will Vertical Farming Continue To Grow, Or Has It Hit The Greenhouse Ceiling?